NorthGate College’s MFL Festival was held this year on Friday 2nd June. The 2017 theme was People, Events, Monuments. 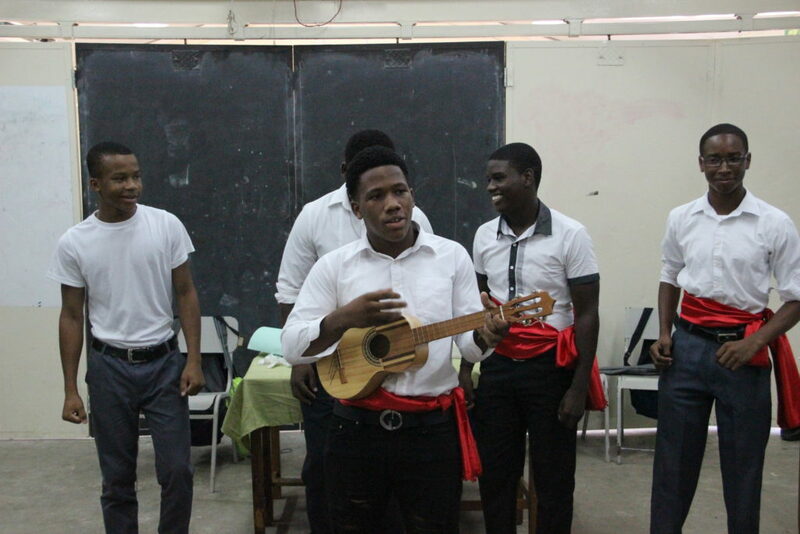 Each class was given the responsibility of preparing and presenting on one of the areas as it related to either the Hispanophone or Francophone culture. Booths, stations and assigned areas were set up to display and conduct the many cultural presentations by the very linguistically eager students. Form 1G took us on a tour of Paris, France as we visited the Notre-Dame Cathedral, the Bastille, the Louvre, the Arc de Triomphe and, a must-see for any tourist to the city, the Eiffel Tower. Then we relaxed and had some fun with some French karaoke at a Parisian cafe! The Form 2N and Form 2G classes worked together to highlight some popular Hispanic music and dances such as the Tango, Mariachi and Salsa. The students demonstrated their salsa-dancing skills and gave mini-dance lessons to those visiting their area. Both teachers and students left with a few new dance moves in their repertoire. Form 3G was responsible for our gastronomic experience on the day. The students set up their restaurant with ambience music and posters about the food items that their customers, their fellow schoolmates, as well as their teachers, could purchase. We learned about empanadas, churros, quiche, madeleines, macarons, and croissants, not only by reading about them, but by tasting our way through them. Not only were the Spanish and French students of Form 4 in charge of their own presentation, but they were given the additional responsibility of managing each of the lower school classes and ensuring that everyone was prepared. 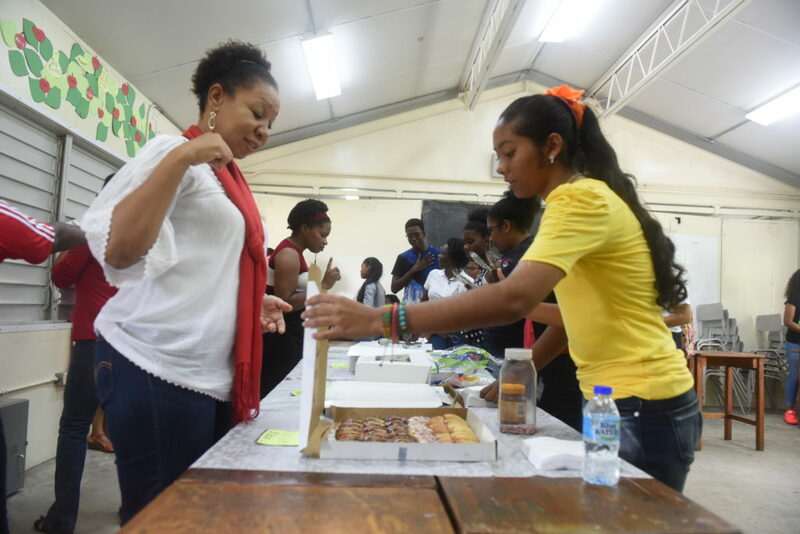 They certainly must be commended for the way they guided their assigned classes, at lunchtime and after school in the lead-up to the Festival day, and during the Festival when they stayed with the younger students to ensure that everything ran smoothly. The Form 4s were able to show, through their engagement with the other students, their readiness and willingness to accept greater responsibilities being placed on them as they grow into their role as the future student leaders of the College. The entire student population was also given the opportunity to participate via Best Cultural Dress competition. It was quite a spectacle to see the college, staff included, transformed into a francophone/hispanophone fashion parade. 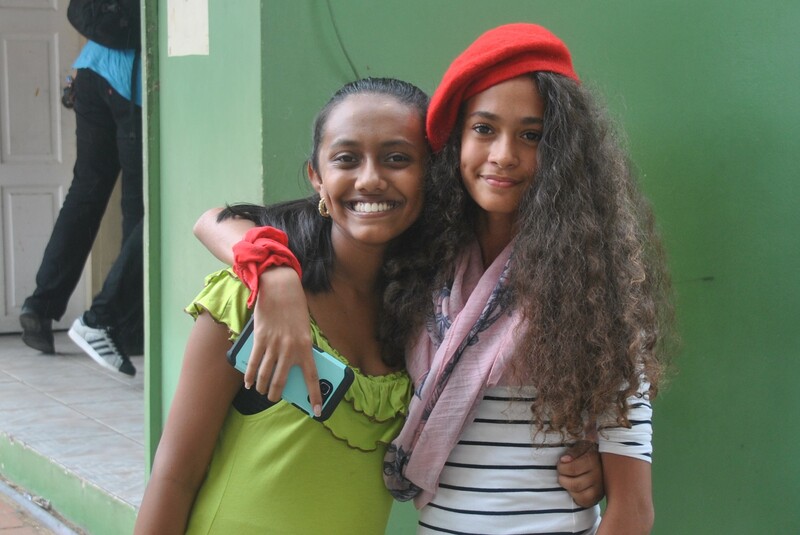 Two Form 1G girls, representing French and Spanish fashion, took the title home as joint winners.